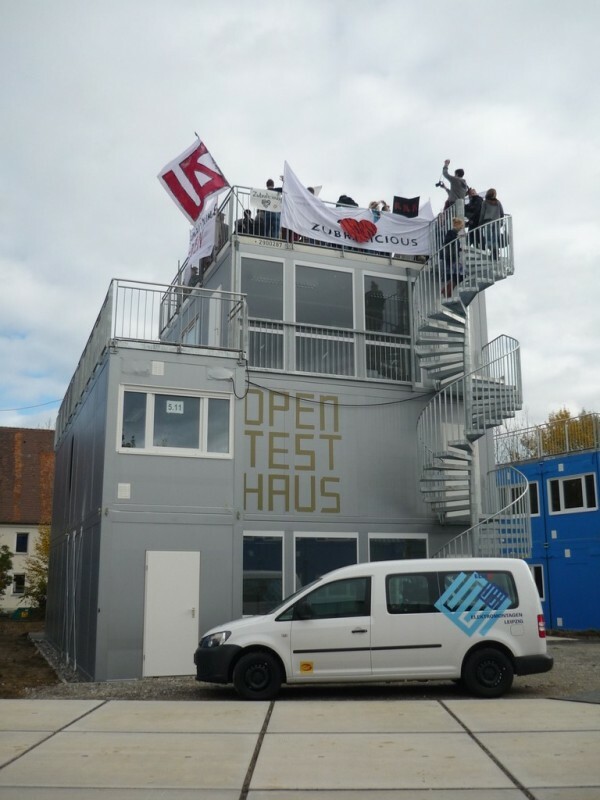 The Open Test Haus (OTH) is the silver container building in the center of the new campus. The name of it refers to its inherent experimental character: It will be designed and selfadministred by the students themselves within the upcoming weeks. This process of constant change and renewal shall not end once the students move into the space, but is intended to be part of a long-lasting, transformative process that outlives the Container Uni itself! No Teaching staff, nor cleaning staff or administrative staff are admitted access to the student house, unless they are explicitly invited to do so. Also, the Open Test Haus will be the only building on the campus with a rooftop garden on top of the second floor. The experimental student building is thus the highest building on the CU-campus — higher even than the offices of the presidency of ZU. Dialectics! 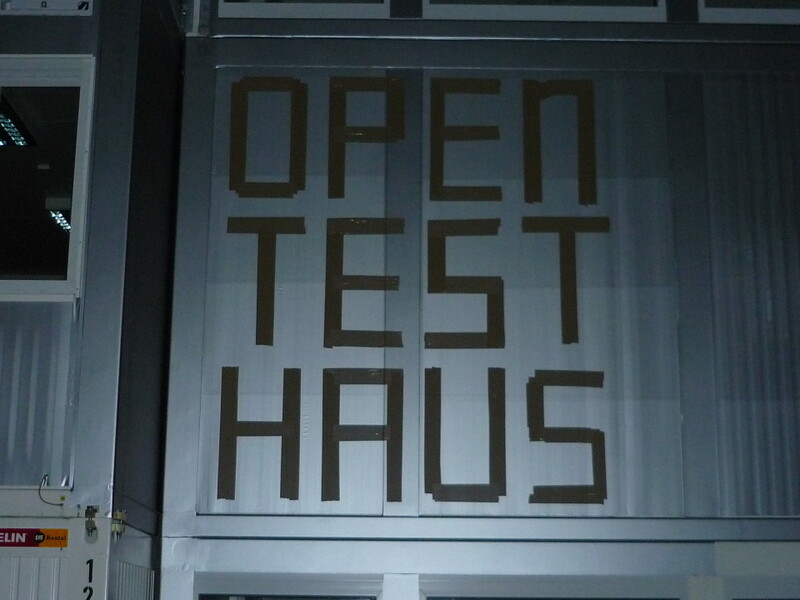 The interior of the Open Test Haus will host various rooms for student-groups. For example, there will be an “Experimental Space”, which is an undefined space per se. 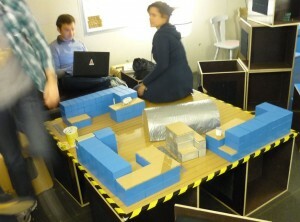 Next to it, in the groud floor, there will be a “Game Zone”. A lounge, a small kitchen, an art-studio/workshop and a balcony will be on the first floor, whereas the second floor gives room for a co-working-space for student initiatives and other students organizations ( that will be connected to an even bigger balcony). Last but not least: On the roof of the Open Test Haus will be a big terrace with a view onto the Lake of Constance and the Alps. Magnifique!